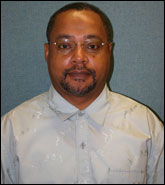 Reginald Archer is an assistant professor of Applied GIS in the Department of Agricultural and Environmental Sciences, in the College of Agriculture at Tennessee State University (TSU). He applies Geographic Information Systems/Science & Remote Sensing to analyze spatial data, and to conduct research, and use the "science of where" to conduct research, specifically environmental change related to sustainability, public health, hazards, risk, vulnerability and disaster recovery; and he teaches multiple courses on Geospatial applications at both undergraduate and graduate level. He obtained his PhD in Geography from the University of California Santa Barbara, and his MS in Civil Engineering and BS in Surveying and Mapping, both from the University of Florida. Kathryn Baldwin is an Assistant Professor of Education at Eastern Washington University where I teach courses in science methods, social studies methods and educational assessment. I hold a B.S. and M.S. in Geology and an Ed.D. in Curriculum in Instruction - Science Education. My interests are in preservice and in-service teacher education, Earth science education, environmental and sustainability education, problem-based learning and systems thinking. 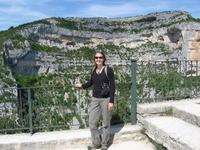 Julie teaches courses in historical geology, sedimentary geology, environmental geochemistry and paleontology. Her research interests lie in the interface of biology, chemistry, and sedimentary processes on the early Earth. She studies microbial ecosystems, the fossilization of microbes, and the geologic structures left behind by microbes. Julie served as chair of Geology from 2010-13 and 2014-16 and as Associate Provost and Dean of Sciences and Education from 2016-18. She has participated in several On the Cutting Edge workshops, was the project director for an InTeGrate implementation project, and has been a panelist for one of the InTeGrate professional development webinars. 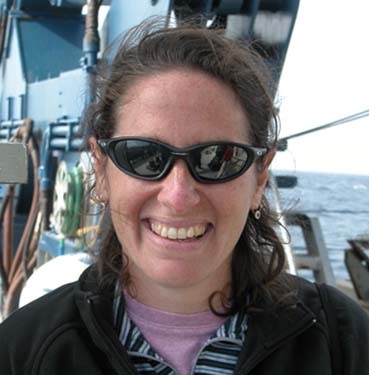 Rachel Beane is a Professor of Earth and Oceanographic Science and Associate Dean of Academic Affairs at Bowdoin College. She is a Co-PI for the On the Cutting Edge. She was the lead convener from 2011-2016 for the week-long, Early Career Faculty: Teaching, Research, and Managing Your Career workshop. As Associate Dean, she focuses on faculty professional development and faculty diversity initiatives. 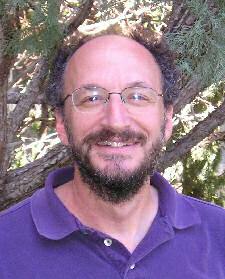 Patrick Belmont is an associate professor at the Utah State University. His research combines hydrology and geomorphology with general interests in sediment dynamics and feedbacks between geomorphic and ecological systems. He received his PhD in Earth and Environmental Sciences from Lehigh University in Bethlehem, PA. He was a Postdoctoral Associate at the University of Minnesota working with the National Center for Earth Surface Dynamics. 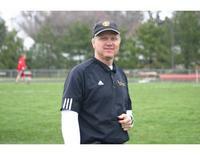 Peter Berquist is an associate professor at Thomas Nelson Community College. His professional interests focus on finding professional opportunities for students, field education, incorporating research, data, and quantitative reasoning into classes, developing critical thinking and problem-solving skills. He co-convened the 2013 workshop Forging Professional Opportunities between Community Colleges and the Workforce at Thomas Nelson Community College, the 2014 workshop Supporting the Whole Student: Strategies for Success in the Classroom, Transferring, and Finding Professional Opportunities at J. Sargent Reynolds Community College and the 2015 workshop Supporting Student Success for Under-prepared 2YC Students and Students with Disabilities at the College of William and Mary. 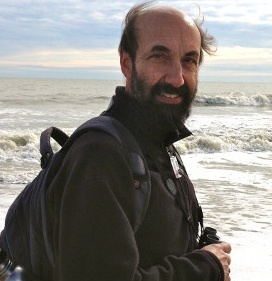 David E. Blockstein is a Senior Adviser with the Association for Environmental Studies and Sciences (AESS) - a professional society for interdisciplinary environmental scholars, educators and students. He spent nearly 30 years with the National Council for Science and the Environment (NCSE), helping to build the interdisciplinary field of environment, energy and sustainability in higher education. 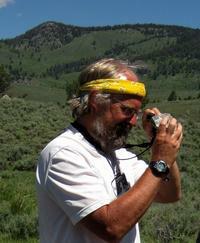 He is an ecologist and conservation biologist with more than 30 years of experience in the science-policy interface. Dr. Blockstein has worked on a wide range of science and policy issues including increasing the representation of minorities in science, and climate change and energy education. He has organized national conferences on all of the key environmental issues of our times. Tim Bralower is a professor at Penn State University. He has led development and online publishing of interdisciplinary courses in support of certificate program, Penn State-UNO distance learning program, and implementation programs for the InTeGrate project involving these materials. 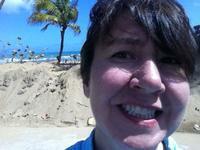 Kate Darby is an assistant professor at Western Washington University. Her professional interests are in social and environmental justice, environmental justice pedagogy in higher education, sustainable food systems and urban socio-ecological systems. Her Ph.D. is in Anthropology (Environment, Science and Technology and Urban Ecology focus) from Arizona State University and her M.S. is in Environmental Studies and Certificate in Not-for-Profit Management from University of Oregon. Her academic training has been punctuated by sustainability work in the private sector with environmental consulting companies and NGOs. 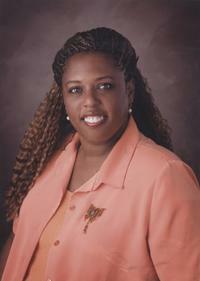 Dr. Edith Davis is a science professor at Florida A & M University. She have a vision to increase science achievement in our children. She was a Woods Hole United States Geologic Survey Research Fellow as well as the State of Texas Environmental Specialist for Small Business. Dr. Davis represented Texas' small business on EPA's task force as well as a White House round table representative for women. She is earned her MS in Geophysics from Stanford University and her Doctorate in Education Curriculum and Instruction with emphasis in Science Education and Research (Middle Schools) from Baylor University. 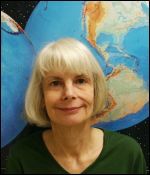 Dr. Diane Doser is a professor within the Department of Geological Sciences at the University of Texas at El Paso (UTEP), where she has taught for over 30 years. She has taught courses at all levels (high school to doctoral level) in geology, geophysics, geological engineering, and environmental science. She served as the first director of the BS in Environmental Science program (2000-2003), director of the MS program in Interdisciplinary Science (2001-2003) and chair of the Department of Geological Sciences from 2004-2008. She was the recipient of a UT Regents' Outstanding Teaching Award in 2010. She has been involved in the traveling workshop program since its inception. Dr. Sue Ebanks is an associate professor in the Marine Science and Environmental Science programs at Savannah State University. She uses her interests in invertebrate ecology, physiology, and toxicology as a medium through which she can work with citizen scientists, undergraduates, and graduate students. This allows her the opportunity to be actively engaged in mentoring undergraduate research in aquatic physiology and toxicology, nurturing K-12 environmental awareness and STEM (science, technology, engineering, and mathematics) education, as well as promoting community education and multi-disciplinary collaboration on environmental issues. Professor Ebert is a SUNY Distinguished Teaching Professor, former chair of the Department of Earth and Atmospheric Sciences, and former Interim Dean of Science and Social Science at the State University of New York College at Oneonta where he has taught since 1985. First, as a senior member of the department and then as chair, he helped guide his department through a wave of retirements and other turnover events that have resulted in an 80% change in the faculty. Professor Ebert's research interests include carbonate sedimentology, stratigraphy, Devonian time scale calibration and geoscience education, particularly the role of dual credit courses in recruiting geoscience majors. He directs the Oneonta Earth Science Outreach Program (ESOP), which enables 28 high schools in several states to offer dual credit geoscience courses. 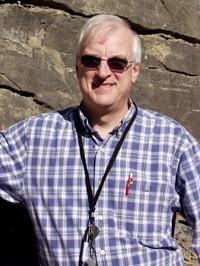 In addition, he created and hosts the ESPRIT listserv that connects over 2000 Earth Science teachers from 27 states and 5 countries in an online professional development community. Anne Egger is an Associate Professor in the Geological Sciences and Science Education departments at Central Washington University. 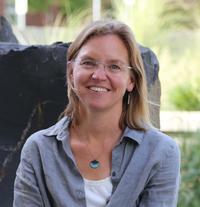 Professor Egger's joint appointment reflects her research interests: her geologic research is focused on the tectonic development of the western margin of the Basin and Range province, and her geoscience education research is focused on developing curricular materials that incorporate societal issues, data, and geoscientific thinking. 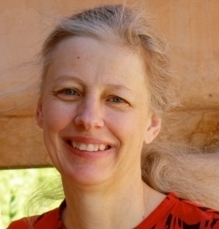 She has facilitated undergraduate curricular (re)design workshops at a variety of institutions, from reviving Stanford's undergraduate geophysics program to reflect the diverse research interests of the faculty, to developing the first Earth science undergraduate degree in Singapore at Nanyang Technological University, to redesigning the Middle-Level Science Teaching major at CWU. Through NAGT, she has led and co-led a series of workshops about teaching introductory courses and teaching about Earth in context of societal issues. In addition, she led the effort at CWU to develop a new set of introductory science courses that integrate science and pedagogy for future teachers, using the Next Generation Science Standards as a guiding document. 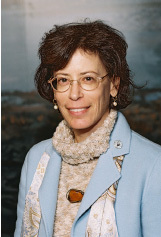 Kathy Ellins is the Program Director for Geoscience Education Research in the Jackson School of Geosciences at The University of Texas at Austin. She holds a Ph.D. in Geography from Columbia University, a Masters in Science Teaching (MAT) from New York University and a B.A. in Geology from Skidmore College. Dr. Ellins is a collaborative STEM educator who is committed to engagement with external stakeholders and partners in academia, government and the private sector. She is knowledgeable in the scholarship of educational research. Her work strives to translate educational research into practice to improve science learning and reach the public through: (1) curriculum development for the Earth/ocean/climate sciences; (2) teacher professional development and teacher leader preparation; (3) multi-institutional collaboration to promote diversity in the geosciences at the K-12 and undergraduate levels; and (4) interdisciplinary projects. She supervises graduate and undergraduate students, and mentors K-12 educators. Dr. Ellins developed and taught 3 courses for pre-service STEM teachers and geology majors in the Jackson School of Geosciences based on content from 3 NSF-sponsored projects (GEO-1203021, DRL-1019815 and OEDG-0703687) and led the creation of online K-12 curriculum for the DIG Texas Instructional Blueprints for Teaching Earth Science project, Water Exploration and GeoFORCE Texas' 12th Grade Summer Academy. Dr. Ellins is a Fulbright CORE Scholar and the 2017 recipient of the NAGT Neil Miner Award for exceptional contributions to the stimulation of interest in the Earth sciences. Carolyn Eyles is the Director of the Integrated Science Program and a Professor in the School of Geography & Earth Sciences at McMaster University. She holds a B.Sc. in Environmental Sciences from the University of East Anglia, a postgraduate certificate of Education from the University of Newcastle upon Tyne, and an M.Sc. and Ph.D. in geology from the University of Toronto. Her research interests lie in the fields of glacial sedimentology and environmental geology, and she has worked extensively in Alaska, Australia, Brazil, Norway, Great Britain and Canada. She has over 75 publications in peer-reviewed journals and books and has co-authored two first year geoscience textbooks. Dr. Eyles is a practicing Professional Geoscientist of Ontario (P.Geo), and is a member of the Geological Society of America, the American Geophysical Union, and the American Geological Institute. Dr. Eyles is a 3M National Teaching Fellow and has won numerous teaching awards including an OCUFA Teaching Award, an Ontario Undergraduate Student Alliance Teaching Award, and the McMaster President's Award for Excellence in Instruction. Her current teaching duties include Earth Science components of interdisciplinary courses in the Integrated Science program, a first year course 'Earth & the Environment', and senior/graduate level courses in glacial sedimentology. She chaired the committee that designed and developed the interdisciplinary Honours B.Sc. Integrated Science Program and now serves as the program Director. 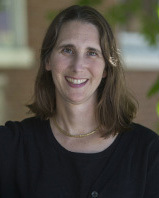 Sarah Fortner is an Associate Professor of Geology and Environmental Science at Wittenberg University. Her students work with community experts on issues of food security, soil sustainability, environmental pollution, & water health. She has created teaching resources hosted by SERC including an InTeGrate soil module, an earth advocacy module, InTeGrate webinars, and a sustainability implementation program website. Her expertise also include interdisciplinary program development and evaluation (Wittenberg's InTeGrate Sustainability Implementation Effort, First Year Experience Program, and the Wittenberg Commitment to Engaged Learning). She served on the workshop committee for the National Academies Workshop on Service-learning in the Undergraduate Geosciences. Dr. Gosselin completed a Ph.D at the School of Mines and Technology in Rapid City, S.D where he had the opportunity to investigate Archean rocks and work on planetary materials. Dr. Gosselin's current scholarly activities research focuses on his commitment to creating professional development opportunities that benefit students and educators in both face-to-face and distance- delivered environments. His current research focuses on Earth, environmental, and interdisciplinary education, leadership development, workforce issues, sustainability education. His past research focused on the use of chemistry and basic principles of water flow to understand both basic and applied scientific problems. Examples include assessing: local and state-wide groundwater quality; the physical and chemical variations of groundwater resources; the behavior of trace elements and natural occurring isotopes in groundwater; the potential impact of environmental change on Sand Hills environments; groundwater management strategies, and water quality variations in public water supplies. In October 1999, he was recognized by the Nebraska Association of Teachers of Science with their Catalyst Award for leadership, dedication and service to science education. 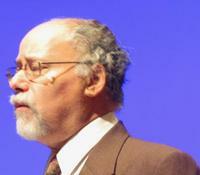 In 2014, he received the Omtvedt Award for Innovation in Teaching at UNL. In his capacity as the Director of the Environmental Studies program, he currently serves on the board of directors of the Association of Environmental Studies and Sciences. Richard D. Schulterbrandt Gragg III, Ph.D. is a Professor of Environmental Science and Policy in the Florida A&M University School of the Environment. 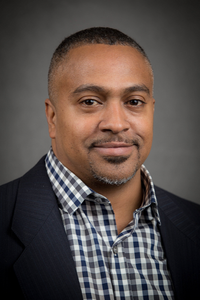 His teaching, research and service interests include: environmental justice and health disparities; environmental and sustainability science; community based participatory research; and environmental and public health policy. He also directs undergraduate and graduate students in thesis and dissertation research. Professor Schulterbrandt Gragg is currently serving the Office of Pesticide Programs for the Pesticide Program Dialogue Committee. He is the founding director of the Florida A&M University Center for Environmental Equity and Justice and a former member of the US EPA Science Advisory Board for the Environmental Justice Technical Group Review Panel, Audubon of Florida Board of Directors, the Florida Environmental Regulations Commission, and the US Environmental Protection Agency, National Environmental Justice Advisory Council and Health and Research Subcommittee. 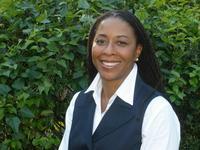 Dr. Gragg is also President and CEO of the Public Private Partnership for Sustainable Communities. Dr. Gragg was awarded a Biochemistry B.S., 1980, from the SUNY Binghamton University and a Pharmacology M.S., 1986 and a Pharmaceutical Sciences Ph.D., 1994, from the Florida A&M University. Deborah Gross is a Professor of Chemistry at Carleton College. She is also involved in the Environmental Studies program. Her research interests focus on measurement of the chemical composition of atmospheric particulate matter using a variety of techniques. She was instrumental in designing the FOCUS program at Carleton College and has run it since its inception in 2007. Jennifer Hanselman serves as the academic advisor for biology education students and as a member of the Teacher Education Council (TEC) and its graduate sub-committee (TEC-GC). She is frequently conducting outreach in K-12 schools on ecological topics, especially climate change. In addition, she partners with Westfield State's Center for Teacher Education and Research (CENTER) to offer teacher workshops. She presents on pedagogical topics such as shifting lessons toward inquiry, teaching about science misconceptions, and connecting the Next Generation Science Standards to the Common Core. 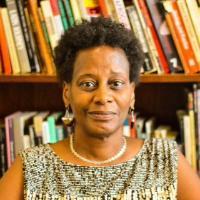 Cynthia Hewitt Ph.D. is an associate professor of sociology at Morehouse College, International Affairs and Sustainability and Environmental Studies. Her Ph.D. is from Emory University. Her research interests are on the International Political Economy of Entrepreneurship and Racial Inequality in the Ownership of Capital, Pan-Africanism and Development, and Globalization, with a focus on the impact of culture and social norms. Area studies of Ghana, Guinea, Jamaica, and U.S. Black Belt Cities (such as Atlanta). Michelle Kinzel holds an M.S. in Geography from Oregon State University, and a B.S. in Biology from San Diego State University. Her graduate work included research on Using Geovisualizations in Education and the completion of a Graduate Science Certificate in GIScience. 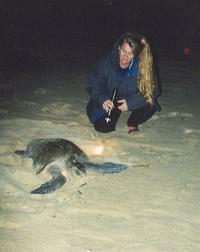 She currently creates curriculum and training materials for educators and conservation workers. She teaches GIS, Remote Sensing and Physical Geography at San Diego Mesa College and Southwestern College in San Diego, Ca. 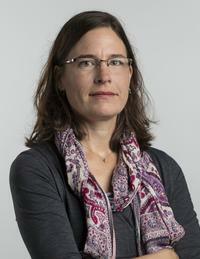 Kaatje Kraft is an assistant professor of geology at Whatcom Community College in Bellingham, WA. 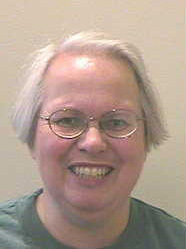 Prior to moving to WA, she was a professor of geology at Mesa Community College and completed her Ph.D. in Science Education examining affective factors that influence student persistence in introductory geoscience courses, particularly focusing on student motivation and use of self-regulatory strategies at two-year colleges. Kaatje was a part of the Geoscience Affective Research NETwork project GARNET and was able to observe many introductory geology courses across the country as part of that research in an effort to better understand how classroom instruction impacts student learning and affect. Kaatje has participated in and facilitated many Cutting Edge, Integrate and other NAGT-supported workshops over the past 10+ years. Heather Macdonald is a professor at the College of William and Mary. Her research interests are in Geoscience education, faculty professional development, geoscience in two-year colleges, and teacher education. She is a leader of the Faculty as Change Agents: Transforming Geoscience Education in Two-year Colleges project and the On the Cutting Edge project. 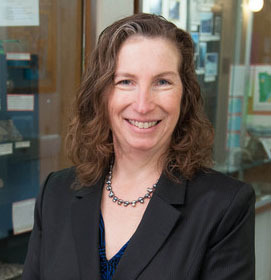 Ellen Metzger is a Professor of Geology and Director of the Science Education Program at San José State University where she co-directs the Bay Area Earth Science Institute (BAESI), a professional development program which has served more than 3,000 teachers since 1990. Professor Metzger has served on the Board of Directors of the California Science Teachers Association and as past Chair of the Geoscience Education Division of the Geological Society of America. She teaches mineralogy, igneous and metamorphic petrology, and courses for pre- and in-service teachers and is co-author of the book Living Well Now and in the Future: Why Sustainability Matters. Dave Mogk is a metamorphic petrologist by training with long-term research interests in evolution of Archean continental crust in SW Montana, and in mid-crustal petrogenetic procescesses (migmatite formation). 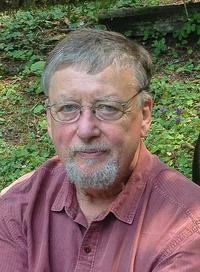 He has also worked on the surface chemistry of minerals using a variety of spectroscopic methods (Auger and X-ray photoelectron spectroscopy, Time-of-Flight SIMS), life in extreme environments (Lake Vostok ice core, Yellowstone acid-sulfate hot springs), and fluid inclusions of submarine hydrothermal systems. His interests in geoscience (and STEM) education began in 1992 in response to reading Project 2061 Science for All Americans (AAAS, 1989). His first NSF/CCD project was to develop an Environmental Geology Course Using a Question-Asking Problem-Solving approach. He subsequently served as Program Officer at NSF in the Division of Undergraduate Education (1995-96). Since that time he has been involved with: teacher preparation (Collaboratives for Excellence in Teacher Preparation); digital libraries (co-author of the DLESE Community Plan and the NSDL Pathways to Progress plans); geo-ed community-building events (Teaching Mineralogy workshop; Scrutiny of Undergraduate Geoscience Education; Shaping the Future of Undergraduate Geoscience Education; Using Data in the Classroom); discipline-based education research (Bringing Research on Learning to the Geosciences; co-editor Earth and Mind; NRC report 2012). He is the recipient of the 2000 AGU Award for Excellence in Geophysics Education. He has also served on NSF Committees of Visitors, EarthScope Science and Education Committee, EarthChem Advisory Board, GSA Chair of Education Division and Education Committee, Associate Editor GSA Bulletin and American Mineralogist. He was recently appointed as Head of the Dept. of Earth Sciences at Montana State University. 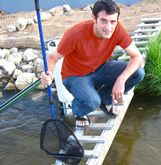 Stephen Mulkey is an environmental scientist dedicated to developing undergraduate and graduate programming to build society's capacity for environmental mitigation, adaptation, and resilience. Mulkey was the president of Unity College in Unity, Maine from 2011 through 2015. His leadership and forward-looking vision resulted in Unity College being the first college in the U.S. to divest its endowment from the top 200 fossil fuel companies, and the first college in the U.S. to adopt sustainability science as the framework for all academic programming. Mulkey believes that higher education has an ethical duty to prepare generations of graduates for the extreme sustainability and climate change challenges of this century. During and after earning his PhD at the University of Pennsylvania, he spent over twenty years as a forest ecologist affiliated with the Smithsonian. Mulkey has served as tenured faculty at three doctoral granting universities and as a program officer at the National Science Foundation. As the Associate Director at the Science Education Resource Center (SERC) at Carleton College, Cailin Huyck Orr is involved in development and management of research, outreach and professional development projects to improve undergraduate STEM education and support for faculty members who teach in STEM and allied fields. She is particularly interested in interdisciplinary teaching and learning, faculty networks, programmatic change and working towards a diverse and sustainable future. 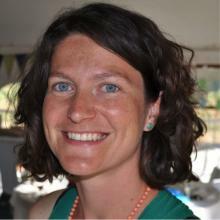 Cailin's background is in limnology, particularly lotic systems, and her previous research focused on interdisciplinary stream and river dynamics targeting understanding of how physical restoration could restore ecological processes and quantifying the sources and fate of anthropogenic nutrients. Before joining SERC Cailin was a faculty member in the School of the Environment at Washington State University working with collaborators in geosciences, engineering, economics, and communications on both stream ecology and also water sustainability and climate projects. 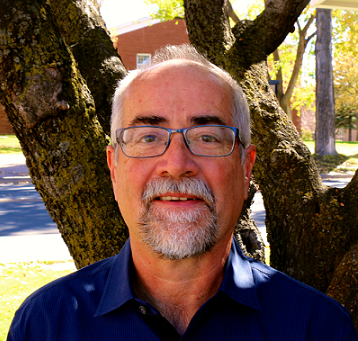 Dr. Parnell is currently coordinator of academic sustainability programs (coordinating the environmental and sustainability academic programs and courses across campus), past chair of the Environmental Caucus, and Professor of Earth Sciences and Environmental Sustainability at Northern Arizona University. His current research focuses on the application of biogeochemistry and geomorphology to the sustainable management of river systems in the Western US, and on the transformation of environmental curricula to incorporate more sustainability. As the founding director of the Colorado Plateau Cooperative Ecosystems Studies Unit, Dr. Parnell has worked to integrate federally funded environmental research across the Colorado Plateau. His perspectives on environmental and sustainability education come primarily from activities as a faculty member at a mid-sized comprehensive state university with a strong commitment to the Colorado Plateau region and the education of 1st generation and Native American students from across North America. Ginny Peterson is a Professor of Geology at Grand Valley State University where she served as department head for 6 years. She previously taught at Western Carolina University. Both are primarily undergraduate regional comprehensive institutions. At both institutions she was a leader in substantive curricular revision. She has served the Council on Undergraduate Research for several years and is currently the Chair of the Geoscience Division. Her current research in the southern Appalachians is focused on the origin and emplacement of mafic and ultramafic rocks and the nature, conditions, and timing of movement within high strain zones. She is passionate about effectively engaging undergraduates in significant research and implementing and promoting effective pedagogy through course and curriculum design. Dr. Rademacher earned her PhD from UC-Santa Barbara in hydrology and geochemistry. Before arriving at the University of the Pacific (UOP) in 2005, she was a professor at California State University in Los Angels (CSULA), which is an Hispanic serving institution. She is currently Department Chair of the Geological and Environmental Sciences Department and core faculty member of the Environmental Studies program at UOP. Dr. Rademacher is active in NAGT and SERC sponsored activities, including participating in several past workshops, serving as an active member of the InTeGrate research team, and serving as a facilitator the Cutting Edge Early Career Workshop. She is active in curriculum design and reform at UOP and in addition to teaching in geology, she teaches in multiple interdisciplinary programs. Dr. Rademacher's undergraduate-based research program is also increasingly interdisciplinary, and she has a long record of research mentorship with diverse undergraduates at UOP. She is passionate about building strong departments, interdisciplinary teaching and research, supporting all students, and integrating themes of societal importance into Earth and Environmental Sciences throughout her work. 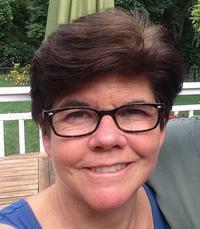 Joan Ramage is an Associate Professor of Earth and Environmental Sciences at Lehigh University. 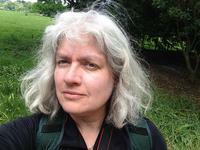 She is interested in ways of observing the earth and how it is changing using satellite data. Her research focuses on the cryosphere. After 12 years as chair of the Department of Geology and Geography at Georgia Southern University, Dallas Rhodes retired from the position in June 2010. During his tenure the number of geology and geography majors increased from fewer than 30 to more than 120. Active recruiting of new majors and a strong GIS program were among the key initiatives that helped the program grow. Dallas continues his association with Georgia Southern as an Emeritus Professor of Geology. 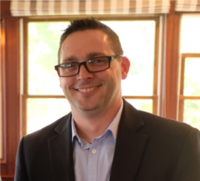 Dallas has served as an external reviewer for several departments and he has been a member of the leadership team for workshops for new department chairs sponsored by the Council of Colleges of Arts and Sciences. His scientific interests are in tectonic geomorphology and climate change in the western US with a focus on central California. In May 2014, Dallas was appointed as a Research Associate in the Department of Geosciences at Humboldt State University. He currently serves as the Chair of the Traveling Workshops Program Management Team. Gigi Richard is a professor of geology at Colorado Mesa University. Her research interests are in hydrology and Water Resources, human interactions with river systems, historic channel adjustments & lateral migration, GPS/GIS applications, and sediment transport and fluid mechanics. Randy Richardson's research interests have included the dynamics of plate tectonics, from the driving mechanism to mountain building and strain accumulation and release on plate boundaries. 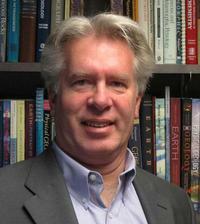 He has also held a series of administrative positions, from associate dean to vice president to interim department head, where he has developed interests in science education (especially quantitative literacy), faculty development, and helping geoscience departments be successful in uncertain times on issues ranging from program reviews to recruiting and retaining students. Catherine Riihimaki is the associate director of science education on the Council for Science and Technology at Princeton University. She works with faculty to transform their courses using pedagogical best practices. Her geoscience research focuses on how physical landscapes change through time, particularly in the context of climate change. Walt Robinson's research focuses on the dynamics of Earth's atmosphere and climate. Dr. Robinson has developed and taught courses in Earth-system science and modeling, as well as weather, climate, and fluid dynamics. Currently he teaches large introductory courses in Environmental Science. As the former head of a large and intellectually diverse geosciences department, he thinks a lot about the tension between the focused interests of students in geology, meteorology, and marine science and the importance of a broad understanding of Earth systems. He is also very interested in how we can do better helping our students develop the math and computing skills nearly all of them will need. Mary Savina is Charles L. Denison Professor of Geology at Carleton College. For three years, she also served as Coordinator of the Perlman Center for Learning and Teaching and Faculty Assessment Coordinator. She has given numerous workshop and conference presentations about geoscience department curricula and assessment; has worked with middle school, high school and college geoscience and environmental studies faculty; and serves on the steering committee for the Building Strong Geoscience Departments initiative. She has also served on external review teams for nine geoscience and environmental studies programs and learning and teaching centers. 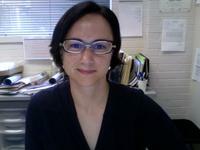 Cindy Shellito is an associate professor at the University of Northern Colorado in Greeley, CO. 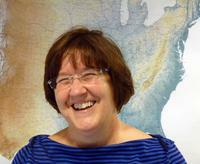 Her primary research interests are in modeling deep-time paleoclimate and geoscience education. She teaches courses focusing on themes ranging from paleoclimatology and global climate dynamics to mesoscale meteorology. 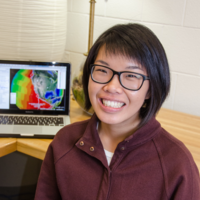 Stefany Sit is a Clinical Assistant Professor at the University of Illinois at Chicago (UIC), where she focuses on creating active learning classrooms and geoscience education initiatives that support all students. She has participated in UIC's teaching scholar program and has served on UIC's Center for Engaged Teaching and Learning Committee and the Incorporated Research Institutes for Seismology's Education and Public Outreach Standing Committee. Stefany earned her PhD at Miami University of Ohio, where she was able to foster her interests in seismology and geoscience education. 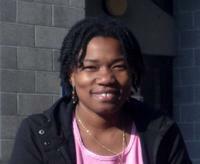 Dr. Soja earned her PhD at the University of Oregon in Eugene. 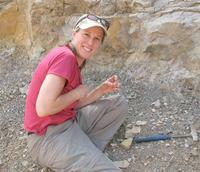 Her passion is paleontology, specifically ancient reefs and their paleobiogeographic implications in terrane analysis. Her work with undergraduate students on the geology of southeastern Alaska (Alexander terrane) and Mongolia's Gobi Desert led to related field research in the Ural Mountains, western Siberia, and north Queensland. Dr. Soja directs Colgate's First-Year Seminar, Core Distinction, and High Distinction programs and has held annual workshops on pedagogy. In addition, she offers paleontology workshops (on fossils, dinosaurs, biomimicry applications) to teachers and also designed "Junior Paleontologist" activities for local elementary students. She is the recipient of Colgate's Professor of the Year award and was honored in 2013 with a Denison University Alumni Citation. Rachel Teasdale is a professor of geology and environmental sciences at California State University–Chico. She is a leader on the RTOP research project investigating reform teaching in geoscience classrooms across the US and has also authored an InTeGrate module (Living on the Edge: Building resilient societies on active plate margins). Her research interests are in physical volcanology and igneous petrology, best practices in training graduate teaching assistants and faculty professional development. Sean Tvelia is a professor of geology and chair of the department of physical sciences. His professional interests focus on the development of active learning and metacognitive strategies that immerse students in the sciences and allow them to experience and form examples first hand. He has led numerous workshops with local college, university, and K-12 faculty that focus on increasing participation and improving student success within courses and programs. Sean is the director of the NSF sponsored GEO CORE program which provides skills training to geoscience majors and professional development opportunities for geoscience educators on Long Island. Sean's current research interest involves the relationship between glacial hydrology and glaciotectonic processes in the development of eastern Long Island landforms. Joshua Villalobos was recently appointed as an Instructional Campus Dean at El Paso Community College (EPCC) supervising multiple instructional programs included Geological Sciences and other STEM disciplines. During his time as a faculty member at EPCC he helped initiate several programs targeting community college students to get engaged within the geological sciences. His focus has also encompassed innovative pedagogy in the classroom and has co-authored a SERC InTeGraTe Module introducing the concept of Environmental Justice into introductory geoscience classes. He was also recently awarded the 2016 Geological Society of America Geoscience Education Division's Biggs Award for Excellence in Earth Science Teaching. Joshua received the 2018 Presidential Award for Excellence in Science Math and Engineering Mentoring (PAESMEM) from the National Science Foundation and the White House for engaging minority students in the geosciences at the community college level. Karen Viskupic is a Assistant Research Professor and Education Programs Manager at Boise State University. 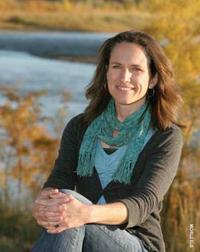 Her research interests are in the field of geoscience education at the K-12, undergraduate and graduate levels. She is a leader of the RTOP project. 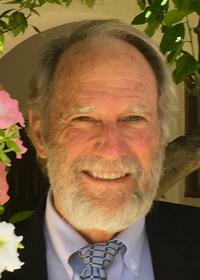 As the Albert and Mary Jane Black Family Professor of Hydrology at UNM, Professor Weissmann teaches and conducts research in the fields of applied sedimentology and hydrology. 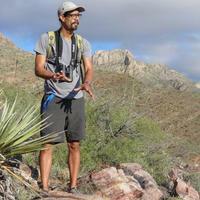 His research interests have included understanding how fluvial sediments fill sedimentary basins, ultimately becoming the beautiful sedimentary successions of places like the Badlands, Ghost Ranch of New Mexico, and the Petrified Forest and Painted Desert of Arizona. The aesthetics of modern rivers (especially as seen from space) and fluvial rocks capture his imagination and curiosity, and he strives to share his wonder of this beauty with his students. Professor Weissmann also serves on the UNM Diversity Council, and is extremely interested in issues surrounding diversity in science and academia. 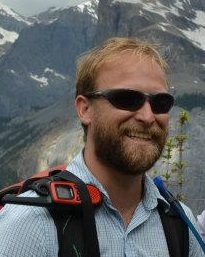 Karl Wirth is an Associate Professor in the Geology Department at Macalester College. He teaches courses in mineralogy, petrology, and planetary geology. His main research interests are in metacognition, metadisciplinary skills, and assessing student learning in the geosciences. Cheryl Young is a geoscientist with expertise in curriculum development and alignment to Next Generation Science Standards. In her current position at Heritage University (HSI), she provides professional development to STEM in-service and pre-service teachers in high-needs, rural school districts of south central WA state. Cheryl's geoscience research areas are microbiology of the terrestrial subsurface, sandstone diagenesis, and the petrophysical properties of porous media.